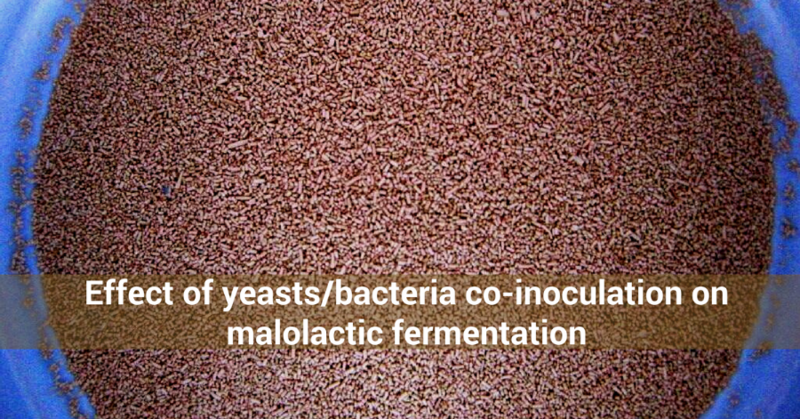 Malolactic fermentation (MLF) is very significant in wines and is carried out by lactic acid bacteria (LAB), usually Oenococcus oeni. The best time to carry out the inoculation of LAB during winemaking is under discussion. Typically, inoculation of LAB at the end of alcoholic fermentation is recommended for preventing synthesis of D-lactic and acetic acid. Recent studies have demonstrated the effectiveness of the inoculation of LAB and yeasts in must simultaneously, through a co-inoculation strategy. In this study, the simultaneous inoculation of yeasts and LAB into Tempranillo grape must was compared to a traditional winemaking protocol, where MLF was induced after completion of alcoholic fermentation.